Happy Monday Y'all! It's Jaderbomb here with some exciting news!!! 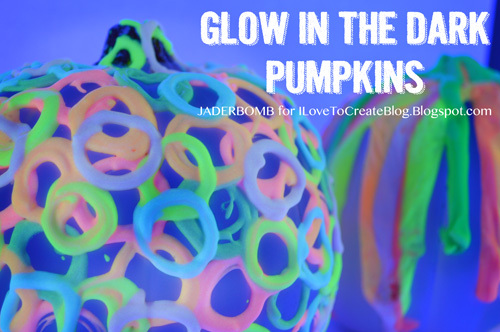 If you remember last year I made some Glow in the Dark pumpkins here on the I Love to Create Blog. Can you believe that those pumpkins became one of the most popular blog posts on here?! If you didn't see them you can check them out here. 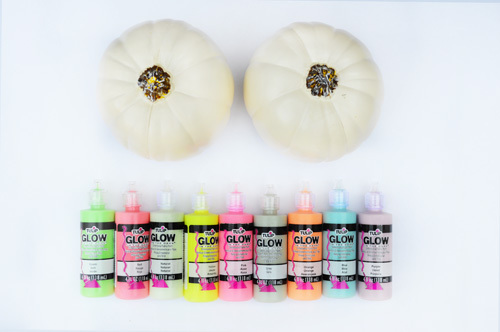 No worries if you have never decorated a glow in the dark craft pumpkin because today I will show you how to do some new and improved ones. Seriously, every year I look forward to buying tons of plastic pumpkins! I like the artificial pumpkins for the simple fact that they will last forever, well not really but you get the point. 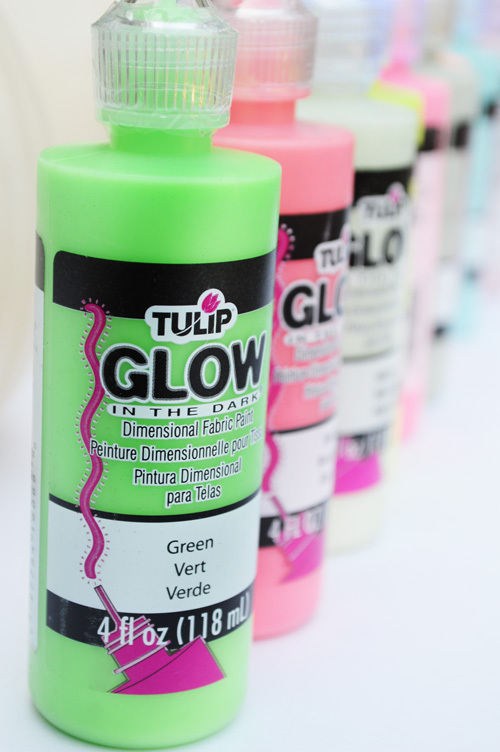 Tulip has the best glow in the dark paint and it will be perfect for today's project. This craft is great for kids to do and you will watch the amazement on their face when you put them under or near a black light! Let's get started! Come check out all of my Halloween and Fall crafts!!! 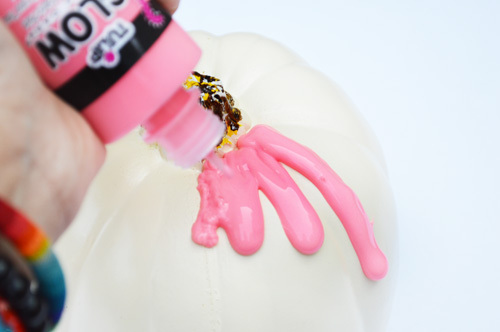 Step One: Grab your glow in the dark paint and start squeezing your paint out at the top of your pumpkin allowing the paint to drip down like it's melting. Don't worry about it being thick and clunky. 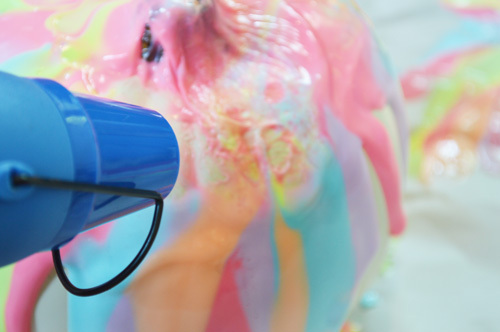 Step Two: Grab your heat gun and put the heat directly on the wet paint. It will start to crackle and blow up like a balloon but don't worry, it will look cool in the end!!! This is how it will look once it starts to heat up from the gun. 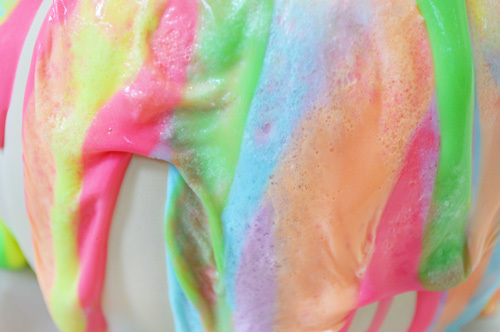 Sorta like wrinkly skin, hehe! Step Three: Grab another pumpkin and just draw circles all over it in different colors eventually overlapping the circles. 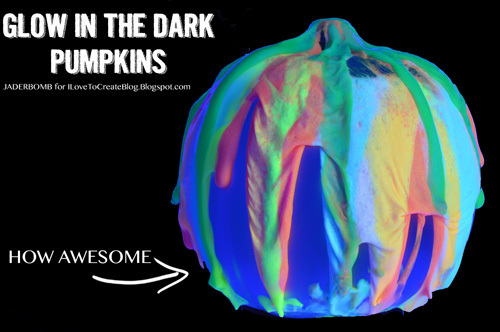 Sometimes simple designs look the best on these glow in the dark pumpkins! 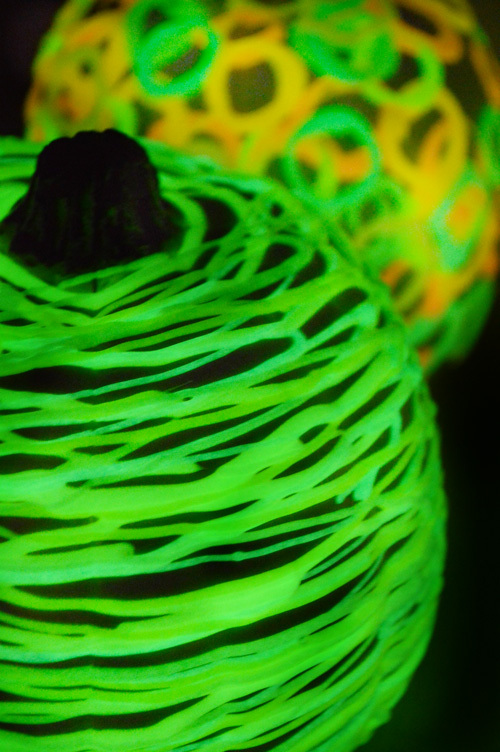 The picture below is the pumpkins under a black light. 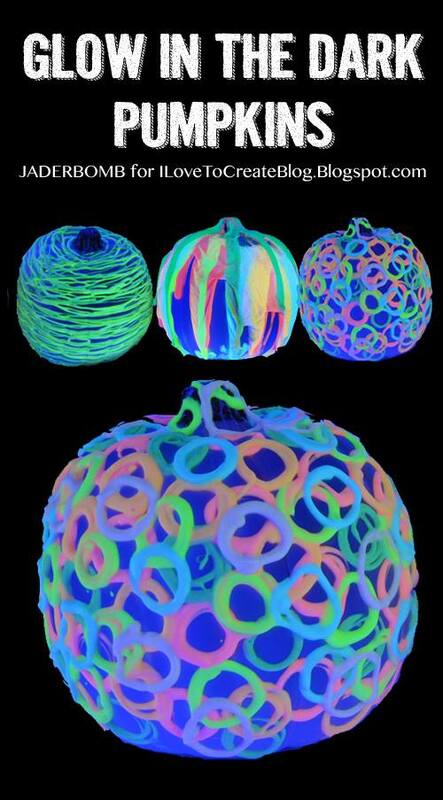 You can purchase a black light bulb and put these in your window. I am sure people passing by will love it! The BEST part is that they actually GLOW in the dark. If you don't have a black light you can put them in the sun for a bit and once inside they will glow like my heart is glowing right now! I am super stoked with how they came out! 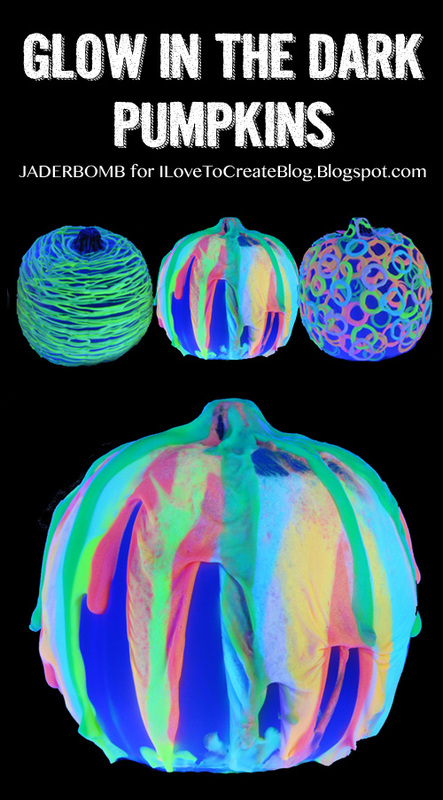 I hope you enjoy your holidays making your very own glow in the dark pumpkins. do you need a black light for this pain to glow in the dark or will it just glow in the dark? Did you heat the pumpkins with the circles and lines as well? generalmente, amati da tutte le donne. Il Rolex Lady Datejust, è disponibile in repliche orologi diversi materiali dall’acciaio 904L, all’oro giallo, bianco, Everose a 18 ct, e platino 950. Anche i quadranti sono diversi, caratterizzati da replica rolex quadranti unici ed eleganti.